My research, software, and creative output. New York City is a noisy place, but equipped with a very convenient subway system, despite mismanagement and stripping of funds by the NY governor Andrew Cuomo. When I’m not on a bicycle, the subway not only avoids needing a car, but gives me an opportunity to listen to music or podcasts. Another use case for me is doing either very long airplane flights, often flying more than 24 hours from NYC to Perth, or to Europe, or short commuting flights I do to my employer LANDR Audio. While I’ve used noise cancelling headphones in the past, I’ve been using Etymotic isolating earphones for many years. I was first introduced to them by a friend in 1999, bought a pair of ER-6s, and am now on my second pair of ER-4Ps (my ER-6’s were in a bag I had stolen and I sadly lost my first pair of ER-4P on a commute). The Etymotic ER-4P’s are expensive, but are very high quality earphones which have very good sealing of the ear canal from external audio, so you can play the earphones at much lower volume than normally needed to mask exterior noise. The bass reproduction and tonal balance are excellent. 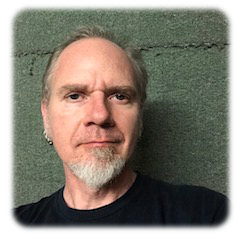 The rubber flanges supplied by Etymotic are very good, but to make them much more comfortable and improve the seal, I had E.A.R Inc mold a set of earplugs that fit my ear canals and the ER-4Ps when I happened on their booth at the Audio Engineering Society (AES) conference in NYC. I find this makes wearing them for long periods more comfortable and a seal which is an improvement (although not vast) over the rubber flanges. There are a couple of downsides to the ER-4Ps however. One is that while the same product has been on sale for about 20 years (a good sign of a great product), the technology used is showing it’s age a little. First is that they are wired earphones. The greatest impact is because the earphones are sealed into your ear canal, any vibration on the wires will transmit to the ear canal and be heard. This would be addressed by wireless versions, and Etymotic used to offer a set which seems to have been discontinued, I suspect because of the loss of quality from the audio compression of Bluetooth. The second downside is that the cables are fragile. After several years of normal, fairly gentle use, I find the twisted wires leading to the earphones start to fracture at the point of the rubber strain relief, as the wires are bent backward and forward. This leads to a break in the very fine wire. This happened to both pairs of ER-4Ps. To address this, I was able to carefully trim away some of the strain relief to better expose the broken wire, and reconnect the wire by soldering. This however leaves a wire which is even more fragile. To address that, I used a small dollop of two part epoxy to embed the pair of wires of both earphones and prevent further flexing. Of course, this alone would simply move the problem up the cable a bit more, and ultimately result in the same problem reoccurring in the future. The problem is that the wires are able to flex too freely at the point where they are clamped by the strain relief or the epoxy. My solution was to use some heat shrink tubing to allow some flexibility of the cable, but to bound the movement so reducing the wear on the clamp point. 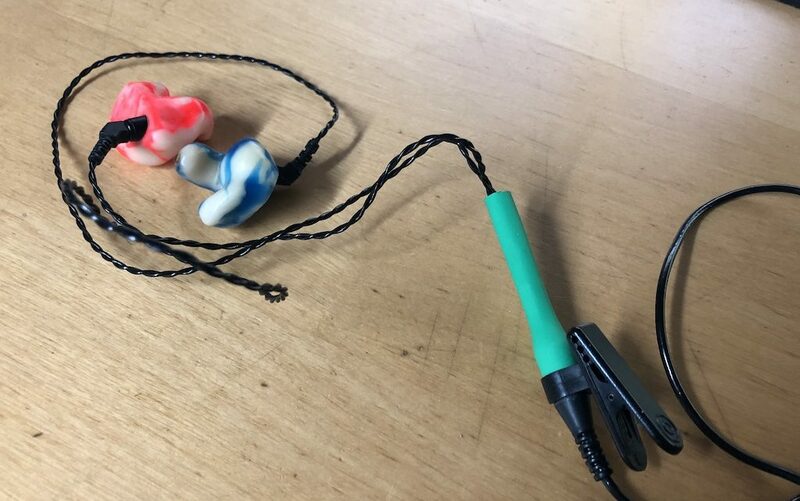 In my case, I placed the heat shrink on the main barrel of the earphones where the shirt clip sits, and extended it over the wires, such that when the tubing shrinks, it doesn’t grip the cable as such, but limits the flexing to a narrower excursion. I suspect even just shrinking the tubing to actually grip the cable will still be beneficial, but you need to have sufficiently wide diameter tubing to fit over the earphones themselves so you can slide the tubing into place. Ultimately this solution has left me with a slightly more robust pair of ER-4Ps, so it might be worthwhile as a preventative measure for readers, or as a repair procedure for those who have also encountered cable breaks.